Kobo Aura One N709 Tablet. Device is in 100% WORKING condition. It has been extensively tested and found to be fully functional. NEED HELP?. C ONTAC T US. Get Supersized Images & Free Image Hosting. Kobo Forma. Condition is Used. Shipped with USPS First Class Package. Comes in original packaging. I have had this nice e-reader for a few years but I use a larger screen e-ink device now so this doesn't get much use. I appreciated its portability, light weight, versatility, and excellent screen. Condition is Used but in great shape, no flaws. Read in direct sunlight with the anti-glare screen, or in complete darkness with the built-in adjustable ComfortLight. Kobo Glo HD. Refurbished Manufacturer Refurbished Manufacturer Refurbished Manufacturer Refurbished Manufacturer Refurbished. Kobo eReader, Model N289. Black, 6" Screen, 1GB, Wi-Fi, SD Card Slot. 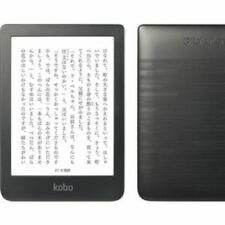 Kobo 6" WiFi e-Reader model N289 preloaded with 100 books. Kobo WiFi model N289. Works great, great battery life. Nice rubberized back. Kobo Aura's beautiful 6" ClarityScreen and a high res, edge-to-edge low-glare Pearl E Ink screen provides a print on paper reading experience, even in direct sunlight. The E Ink screen technology allows you to transition between pages without those annoying flashes and now with pinch to zoom, you'll catch every detail when zooming in to PDFs and select books. A beautiful marriage of form and function, your Kobo Aura was designed to fit ergonomically in your hand. 6 inches screen Capacity: 4 GB Display type: E Ink Battery life: 9 weeks battery Wireless Connectivity: 802. Kobo Wireless eReader 1GB, Wi-Fi, 6in - Black. Condition is New. Shipped with USPS Priority Mail. Kobo Forma is where the future of reading takes shape. Dependent on individual usage. We are sure that we can provide a solution that makes you happy. I received the wrong item.what now?. We proudly stand behind the quality of our products. 15.24 cm (6 "), 1024 x 768, 212 ppi, ComfortLight, Wi-Fi, Micro USB, 4 GB, black Discover a simple and natural eReading experience with Kobo Aura. With a print-on-paper look, you can read in direct sunlight without glare; and with the built-in, adjustable ComfortLight, you can read late into the night with minimal eyestrain. 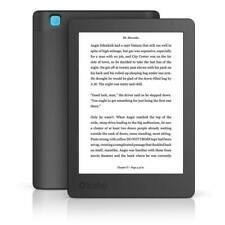 6" HD eBook reader. Gorgeous 6” HD E-Ink touchscreen. Supported formats: 14 file formats supported natively (EPUB, EPUB3, PDF, MOBI, JPEG, GIF, PNG, BMP, TIFF, TXT, HTML, RTF, CBZ, CBR). Exclusive font weight and sharpness settings. Kobo Ereader WiFi - 100 inspiring free classics preloaded. With space for up to 1,000 books. Lightweight and easy to use. Model N647. 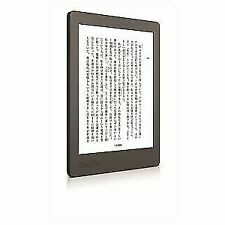 Kobo Aura Edition 2 6” HD E Ink Carta Touchscreen eBook Reader New Open Box. Shipped with USPS Priority Mail. Kobo Aura H2O e-book reader in excellent condition. Kobo Aura H2O e-book reader. Condition is New. Shipped with USPS Priority Mail. Kobo, N236-KU-BK-K-EP. Kobo Aura's beautiful 6" ClarityScreen and a high res, edge-to-edge low-glare Pearl E Ink screen provides a print on paper reading experience, even in direct sunlight. As an industry leader in product sourcing and reconditioning, we are expert in providing the best and finest quality products. Kobo Aura eBook Reader - Black. Condition is Used. Shipped with USPS Priority Mail. Doesn't come with charger cable or headphones. Comes with case. Kobo Aura Specs. 6" E Ink Pearl display 1024×758 screen resolution (211 dpi). Since the e-book is an inventory product, there will be scratches on individual e-books, but it will not affect reading. Discover a simple and natural eReading experience with Kobo Aura. With a print-on-paper look, you can read in direct sunlight without glare; and with the built-in, adjustable ComfortLight, you can read late into the night with minimal eyestrain. Kobo Aura features a beautiful edge-to-edge design and is equipped with ClarityScreen, a low-glare 6” HD Pearl E Ink screen boasting a stunning 1014 x 758 resolution for a print on paper reading experience even in direct sunlight. Kobo Arc 7 HD 7" 32GB Android Tablet With NVIDIA Tegra 3 Processor. No two booklovers are alike, so create your perfect reading experience with Kobo Aura H2O. The TypeGenius feature has weight and sharpness settings exclusive to Kobo, and lets you choose from over 50 font sizes and 11 font types. 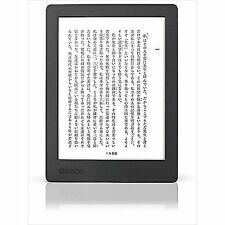 Kobo Glo eReader 6" E Ink Illuminated Touchscreen 2GB 1.00GHz Dual Core WiFi !! !